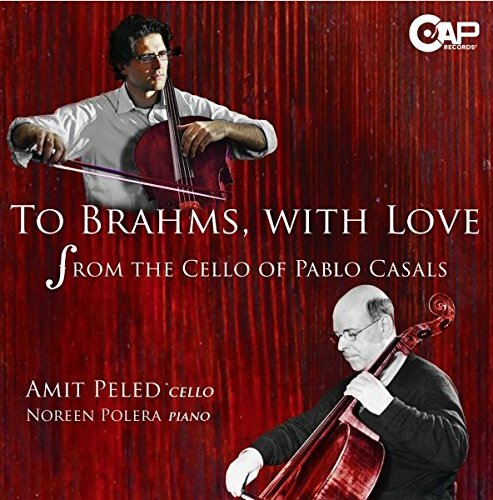 CAP Records has today announced the release of Israeli-American cellist Amit Peled‘s new album: To Brahms with Love, From the Cello of Pablo Casals. Recorded with pianist Noreen Polera, and performed on the 1733 Pablo Casals Matteo Goffriller cello, the disc features Brahms’ 1st and 2nd Cello Sonatas. “I was inspired to record this album after realizing that Casals played for Brahms as a child … and then taught my teacher, the legendary Bernard Greenhouse …” Amit has told The Violin Channel. “This is my chance to kind of relive it all via Casals’ magnificent Goffriller cello …and allow me to be a small part of that history,” the Peabody Conservatory faculty member has said.